The eDab Fantom Cartridges are the exact 510 refillable heating attachments made for concentrates included with eDab's newest Fantom Kits. 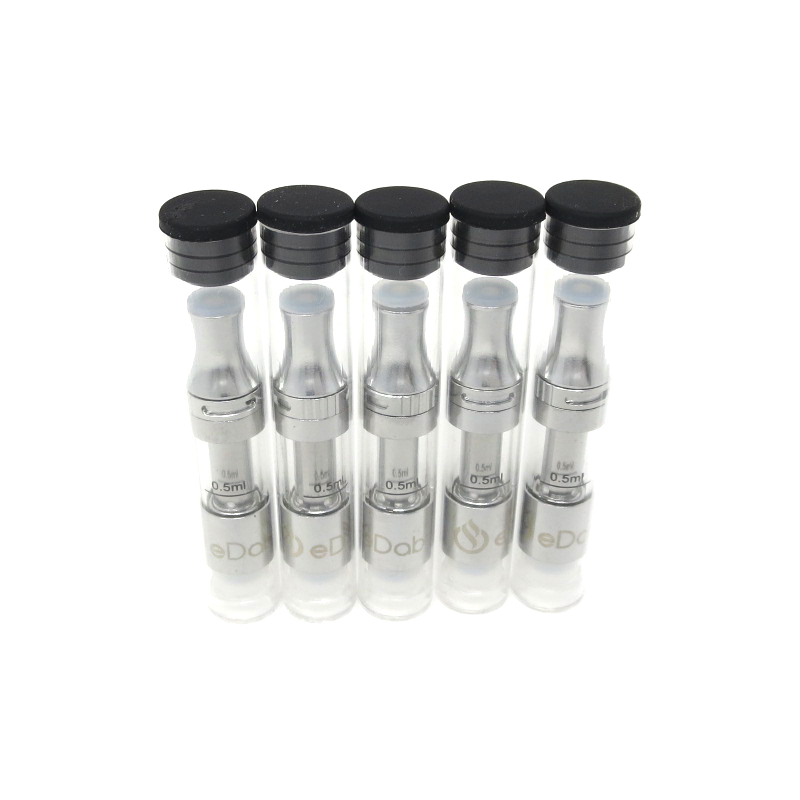 Each of these high quality essential oil cartridges feature a stainless steel and true Pyrex glass construction that makes them extremely durable and long lasting. They are engineered with a cutting-edge cup style design that is virtually leak proof and quite easy to fill. You simply unscrew the top center post, apply your material and then reassemble. 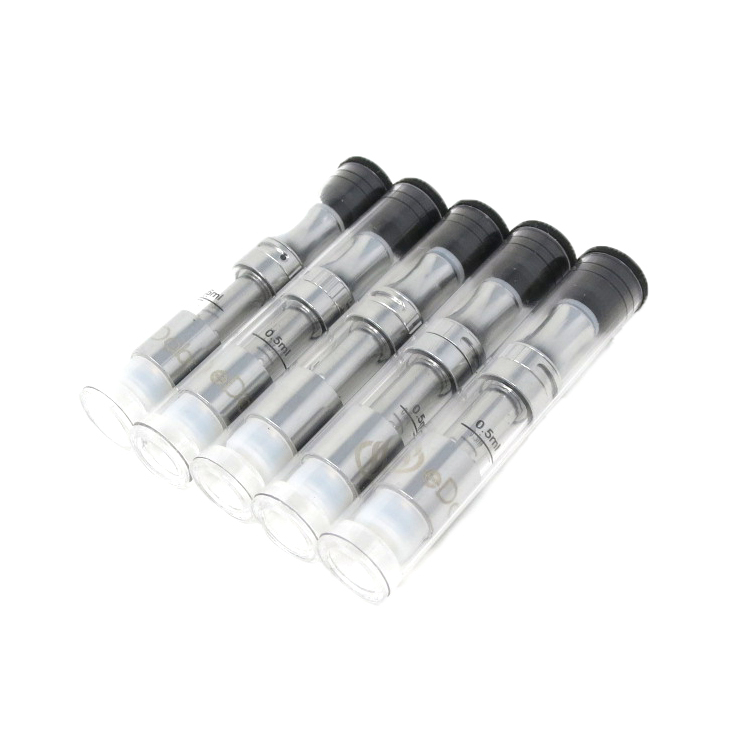 There is a 0.5mL maximum fill line that allows you to quickly refill the cartridge in no time with absolutely no mess or waste to clean up after. After filling your material, it will saturate the wickless ceramic heating element through quad 1.5mm ports. 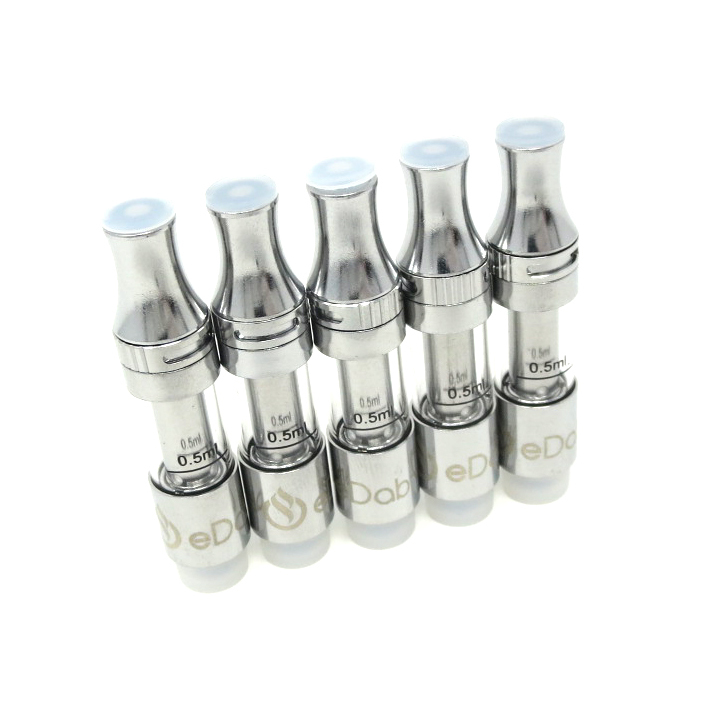 eDab designed these cartridges with larger ports to make it suitable with quite a wide range of concentrates. 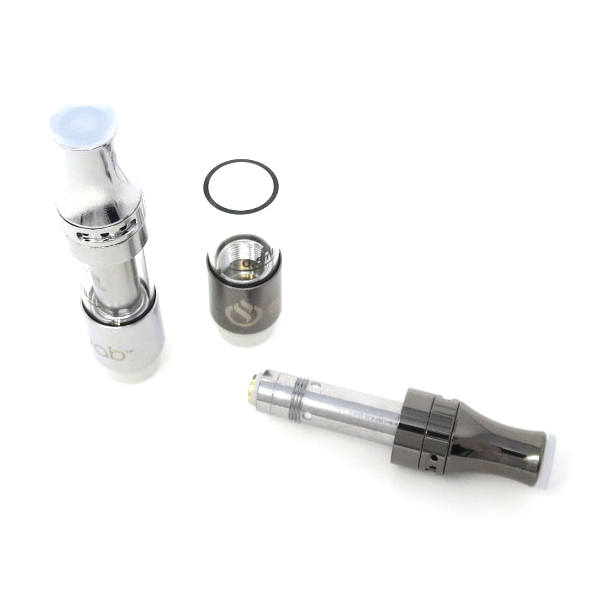 You also have a top adjustable airflow control valve with three air channels that offer further control over your vapor quality. You can open all three for the most vapor possible or keep it closed for a discreet vape, the choice is yours. 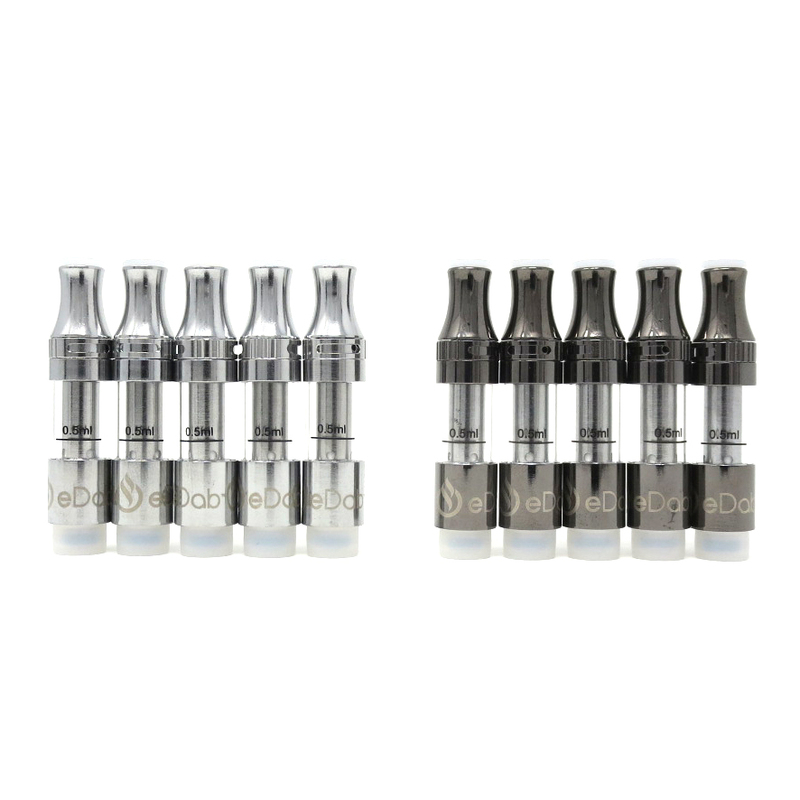 These cartridges are also designed to be compatible with most 510 thread batteries on the market that support attachments as big as 11.2mm in diameter. 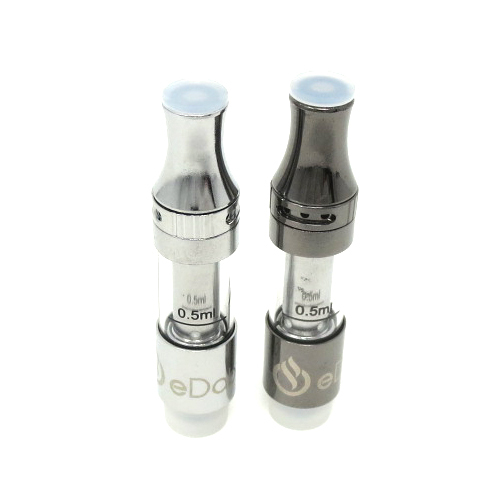 See eDab's Spin Variable Voltage Battery for an affordable option that gets the job done right. 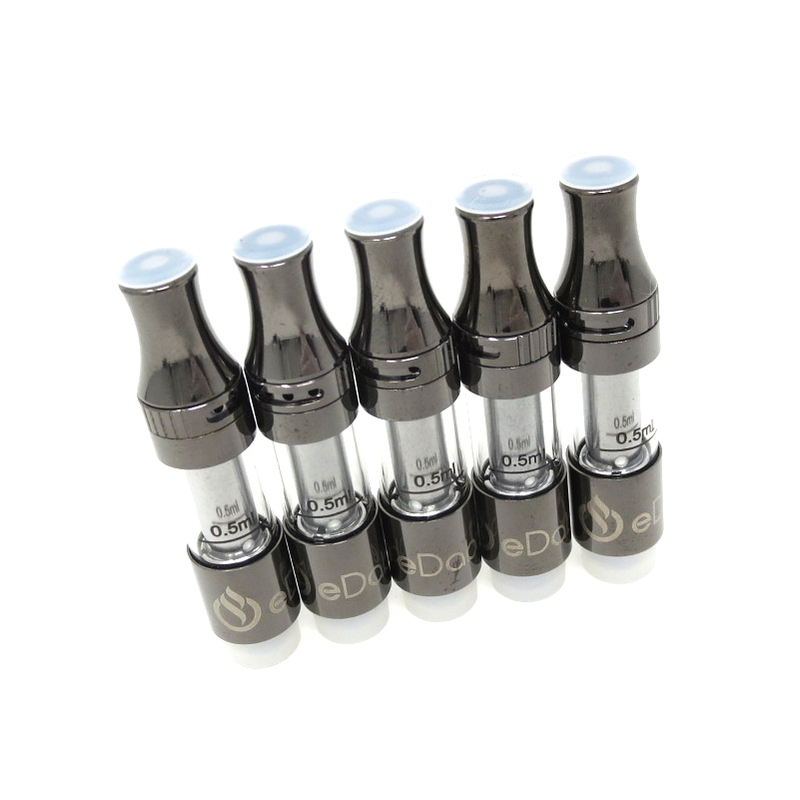 Invest in a pack of 5 eDab Fantom Oil Cartridges today in your choice of Stainless or Gunmetal color options. Every pack is shipped with each cartridge individually packaged in plastic tubes with bottom and top dust covers included.